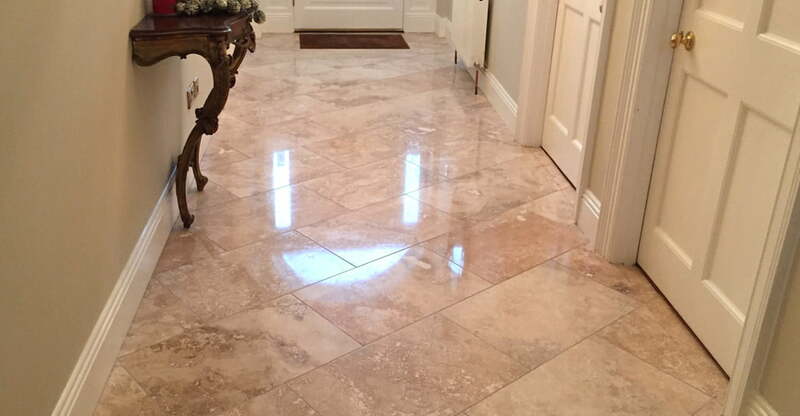 We have extensive experience in the field of marble and stone floor polishing and restoration. 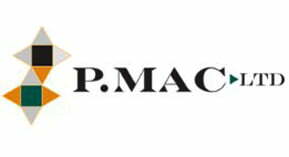 If your stone can be cleaned and restored, P Mac will achieve the optimum possible results for you. On the other hand, if we feel the outcome won’t live up to your expectations, we will let you know beforehand. All our operatives have undergone extensive training and have many years experience restoring floors to new in people’s homes. As a Heritage Contractor, we preserve the past by using the least intrusive cleaning and restoration methods. 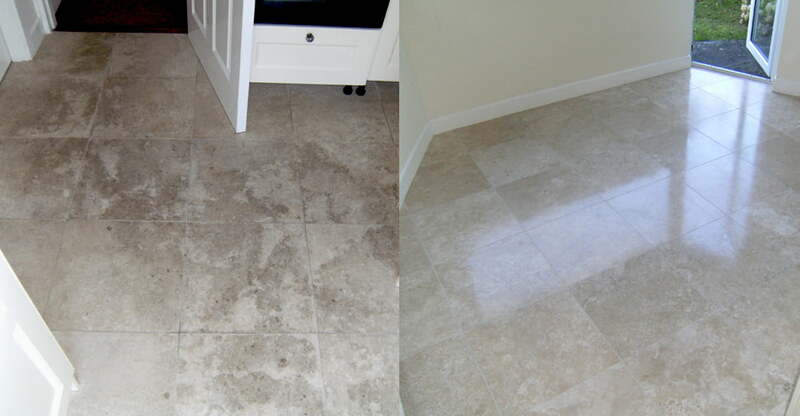 Most marble and natural stone floors and surfaces can be revitalised and returned to their original state. When installed and cared for correctly, your stone or marble floor should last a lifetime. We have cleaned, polished, sealed, repaired, and restored thousands of marble and stone floors, dating from the 1800s to modern times. Stains can occur very easily in natural stone. If a floor is unsealed, any liquid spilled will seep into the stone. Our stain removal process starts with a very gentle chemical clean and can range up to a poultice or resurfacing of the stone. Poultice treatments are a very gentle way of removing stains. A cleaning agent is mixed with very fine powder, applied to the surface of the stain, covered with polythene, and then left to dry. The powder draws the stain from the surface. This may take up to three days and several applications may be needed. However, we rarely have to resort to this method of cleaning, usually a strip, clean and polish is sufficient to transform a floor. Once your marble, travertine, limestone, granite or crema marfil and stone surfaces are cleaned, we commence the honing and polishing process. The polishing process removes deeper ingrained stains on the floor, such as etch marks and light scratches. These are generally what gives marble and stone that dull and lack-lustre appearance. Polishing is defined as placing a high reflective finish on the surface of the stone. Polishing is usually accomplished using super-fine abrasive powders, but can also be achieved with super-fine diamond abrasive discs or polishing pads. During polishing, we remove a microscopic layer from the surface of your floor. This can only be achieved by using a series of different grade diamond grits, used in the correct order. Only a qualified craftsperson with experience in polishing should carry out this process – incorrect methods and processes can completely ruin your marble or natural stone floor. Stone is naturally porous; any liquid spilled on unsealed stone will seep into the stone and stain. By sealing the stone, you effectively seal these pores. This prevents the spill soaking into the stone, leaving it on the surface where it can be cleaned up. Spills should be cleaned up as soon as possible, as they can penetrate if left. Polished natural stone reflects light and does not need a topical coating or wax to achieve a high gloss finish. 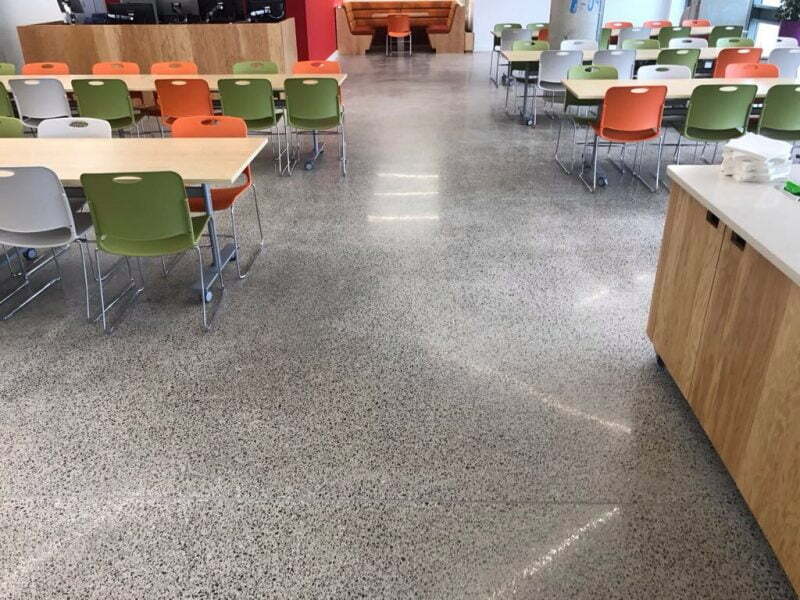 We recommend sealing with a topical seal on heavily trafficked floors in commercial environments, or on travertine, quarry or terracotta tiles due to their highly porous nature. Stone sealers break down in the presence of UV light, when cleaned with harsh cleaners or because of general wear. It is therefore recommended that you re-seal your stone every two to three years. Impregnating seals or topical seals should be replaced before they deteriorate. All of the seal should be completely removed before any new seal is applied. The application of a penetrating seal will not alter the appearance of the stone. A topical seal will give a slightly gloss finish to your stone and enhance the colour of your tiles and grout. We would advise that the chemical used for stripping old seals come from the same manufacturer as the existing seal. Seals have a life span and floors should be stripped and resealed before this life span runs out. All marble, travertine, limestone, terracotta and stone floors and surfaces should be sealed. A seal closes the pores on your marble surface, helping to prevent spills from getting into your stone and causing stains and discolouration. Marble provides a beautiful and durable building material suitable for flooring, counter tops, walls, and tables. We have great tips and advice on how to maintain marble and stone.